Last week, we were lucky to get a feature in the Chester Chronicle! As Chester’s leading newspaper, we were pretty chuffed that they gave us the chance to tell our story. David Holmes wrote the article. He asked us a few questions about setting up the business and allowed us to give a sneak peek into the premises. We want to create a unique Thai dining experience which is unlike anything seen or done before in Chester. Obviously, we’re passionate about Thai food and the authentic tastes it evokes. In the article, we share how we have designed the restaurant to be a ‘drink and dine’ concept rather than a bog standard restaurant. 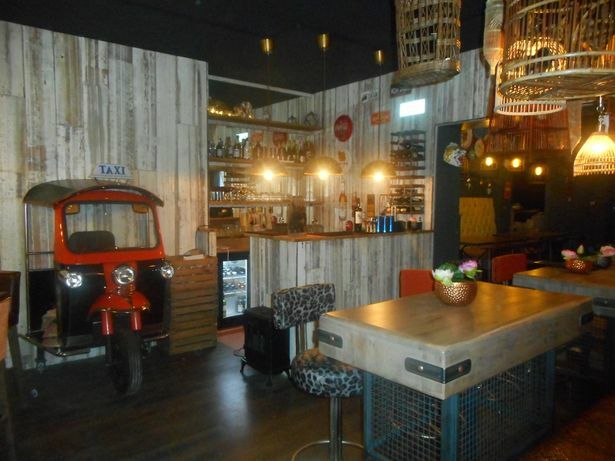 The carefully designed decor includes an authentic tuk-tuk taxi and hanging bicycles. We wanted to combine traditional Thai culture with a contemporary interior! Of course, the main star of the show is the food and drink that we serve – all prepared by authentic chefs and knowledgeable staff. As we are open midday and in the evenings, we’ll be serving a range of items on our menu. You could pop in at lunchtime for a healthy smoothie or herbal tea. At night, you might prefer to indulge in a delicious stir-fry or curry. We don’t do traditional starters in Thailand so you can enjoy some of our street food delicacies instead! Remember, Thai food is meant to be shared so that everyone can experience different tastes in one sitting. All that said, the main idea is to create a space where people can enjoy the cuisine of Thailand in a casual and stylish setting with friends and family. It’s perfect for a date, a family get together or a catch-up with friends: Nine Elephants can be whatever you make it. If you want to read the full article, you can do so by clicking here.